I’ve just finished planting up around 6,000 more bulbs for our visitors to enjoy, so these should add more colour and variety in the years to come. Get your planting done while it’s still nice enough out! 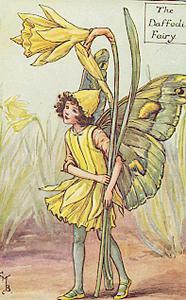 The fairies are still very active due to the recent mild weather, but with a cold snap on the way they’ll soon be hibernating, ready to be refreshed for the spring. Either use the link on the Booking page or call 01606 889380. 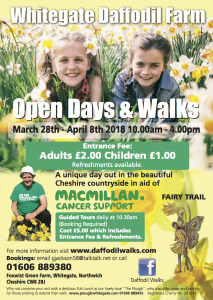 No bookings required if you just want to walk around at your own leisure enjoying the Daffodils and Fairy Trail, however, if you’re a large party it would be appreciated to advise us so that we can stock up on cake!